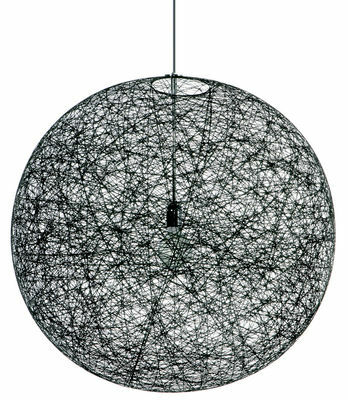 From the design team monkey boys for moooi, 2002. 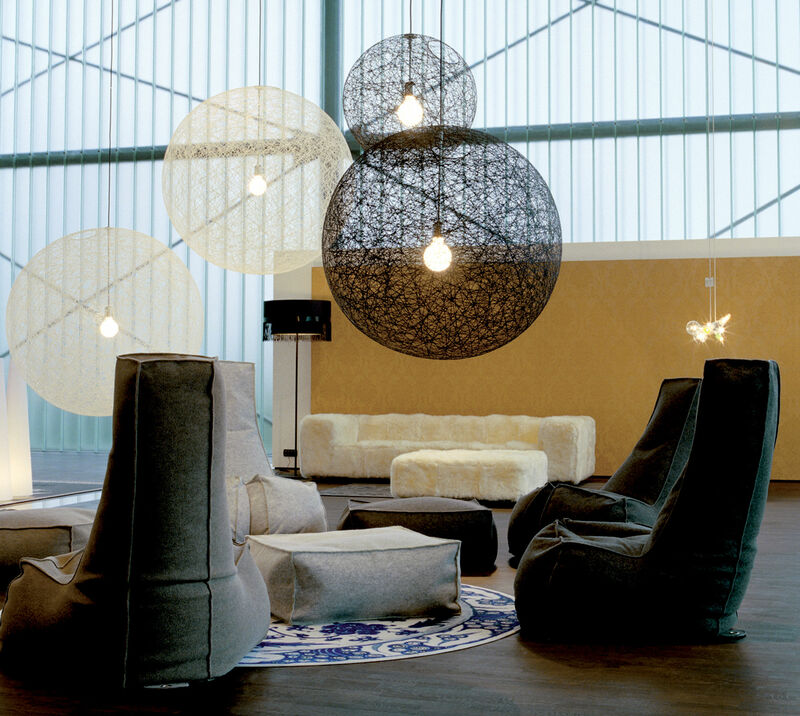 These beautiful suspension lamp is constructed by coiling fiber glass drained with resin around a balloon. This may seem like a simple enough technique, but it took the monkey boys three years to fully develop the idea. 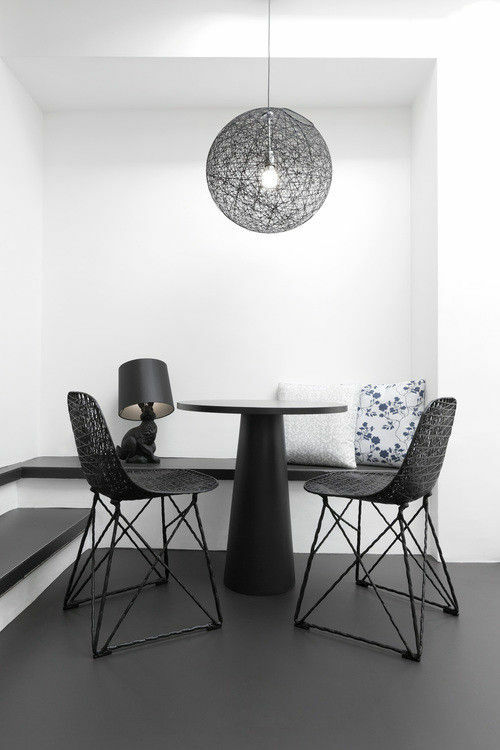 the random light is available in 3 sizes and two colors (black and white).